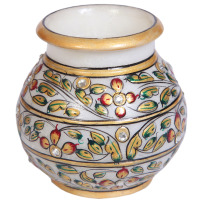 The multicolor decorative art enhances your interiors and gives your drawing room an emblematic ethnic look. 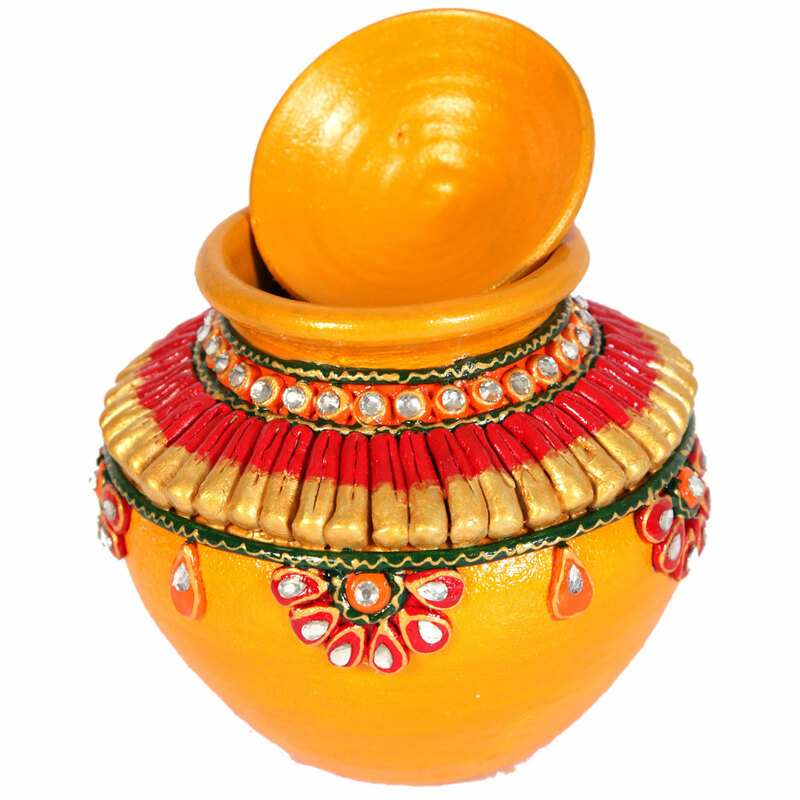 This Kundan small Matki has been one of the most sought after piece of arts. The multicolor decorative art enhances your interiors and gives your Read More..drawing room an emblematic ethnic look. 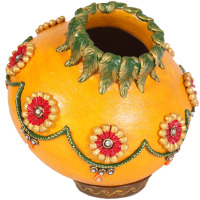 This finely done, golden-hued pot can be a perfect choic for any sort of traditional offering and cultural theme. Show Less.. 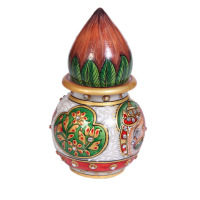 The lovely green leaves crafted on top folding of the big-sized matki looks completely confirming to the ethnic theme. 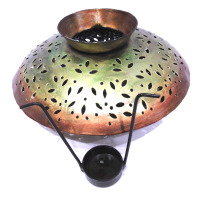 The candle stand with brass matki is an exquisite piece of decorative item that also comes handy for holding a lighted candle.